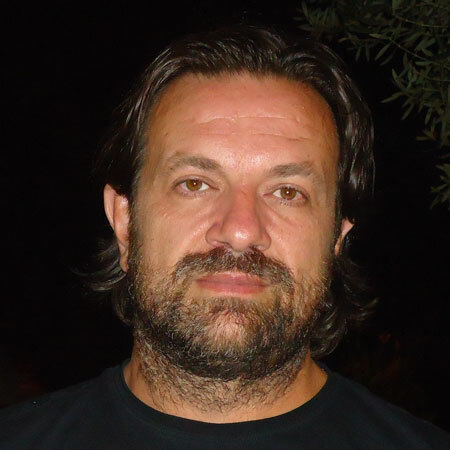 Dr Vassilios Constantoudis received the PhD degree from the University of Athens, Greece, and is currently working at the Department of Microelectronics, National Center for Scientific Research “Demokritos”, Greece. 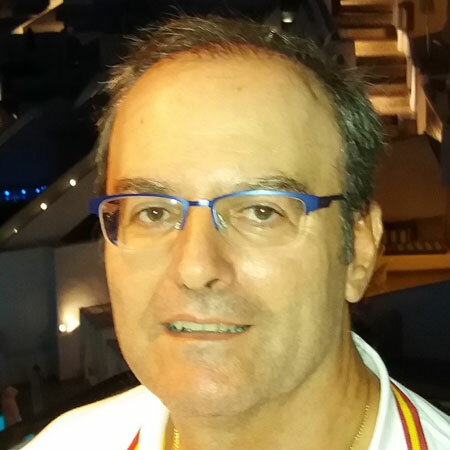 His main research interest has been in the stochastic effects on nanotechnological processes (lithography, etching, …) and their manifestation in the roughness and dimensional variability of nanostructures and surfaces. He has studied the implications of stochasticity in the metrology, characterization, formation, modeling and simulation of roughness and variability as well as their impact on device performance. He is co-author of 110 refereed papers which have been cited by third party more than 1100 times (h-index=22). He is also a co-founder of the spin-off company Nanometrisis which commercialize methods and software for nanometrology. After studies of language and science at Julius-Maximilians-University Würzburg and at the European School of Language and Economics Tanja Helmling joined Atlas Material Testing Technology GmbH in 2000. In 2001 she became member of the sales group where she has been Area Manager in the field of weathering applications, equipment and testing services for various countries and areas. In this context she is also taking care of applicational consulting as well as customer trainings and seminars on the Fundamentals of Weathering. Today she is responsible country manager for Austria and Switzerland, and is supervising activities in Belgium, Greece, The Netherlands, Africa and the Middle East. 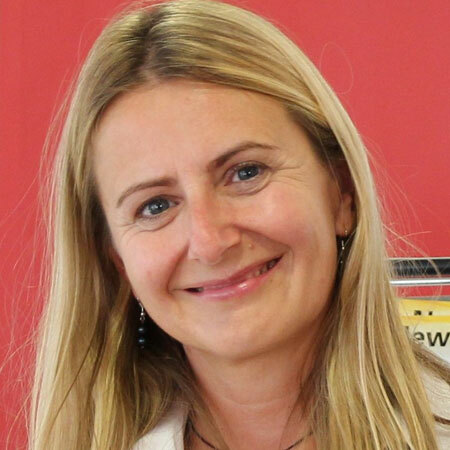 She is member of the steering committee of ÖGUS, the Austrian Society for Environmental Simulation and leader of the working group “Paints and Coatings”. 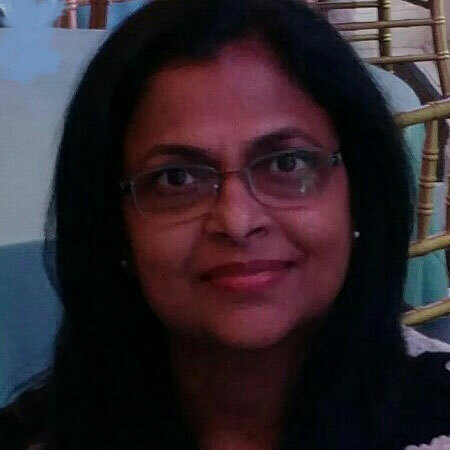 Zeena Cherian is a Senior Staff Scientist in the Ashland Coatings Team since June 2016, at its Research& Development center located in Wilmington, Delaware. She has a Master’s Degree in Materials Engineering from New Jersey Institute of Technology, U.S.A and a Master’s degree in Polymer Technology from University of Science and Technology, India. Before joining Ashland, she worked in Arkema’s Analytical Department focused on polymer processing and rheology to study polymer structure and end-use application properties via dynamic mechanical analysis, melt and fluid rheology. She has been a past member of Society of Rheology and ASTM and a current member of American Coating Association. O Δρ. Κακάβας Κωνσταντίνος είναι Χημικός του Αριστοτέλειου Πανεπιστημίου Θεσσαλονίκης και διπλωματούχος διδάκτορας του Πανεπιστημίου Θεσσαλίας. Εργάσθηκε στην Nippon Paint Co Ltd στην Ιαπωνία πάω σε εφαρμογές χρωμάτων. Σήμερα είναι Λέκτορας στο τμήμα Σχεδιασμού & Τεχνολογίας Ξύλου και επίπλου στο Τεχνολογικό Εκπαιδευτικό Ίδρυμα Θεσσαλίας με έδρα την Καρδίτσα. Διδάσκει τα μαθήματα των Πολυμερών, του φινιρίσματος επίπλου, της συντήρησης & αποκατάστασης επίπλων και του Ποιοτικού ελέγχου πρώτων υλών βιομηχανίας ξύλου. Τα ερευνητικά του ενδιαφέροντα εστιάζονται σε θέματα που αφορούν γενικά την επιστήμη των διεπιφανειών πάνω σε ξύλο. Επίσης σήμερα είναι σύμβουλος σε βιομηχανίες χρωμάτων τόσο σε θέματα ποιότητας όσο και σε θέματα στησίματος συστημάτων ISO. Srba Tasic has worked at Covestro, business unit Coatings, Adhesives and Specialties (CAS) for 11 years, the last 6 years as a technical marketing manager for the region of Central– and South-Eastern Europe. He has more than 18 years’ experience across all areas of resins and coatings production, as well as sales and marketing. Before Covestro, he was a senior research engineer in Duga, Paints and Varnishes company from Belgrade, where he spent over 7 years in different labs (resins synthesis department, wood coatings, car refinish coatings). 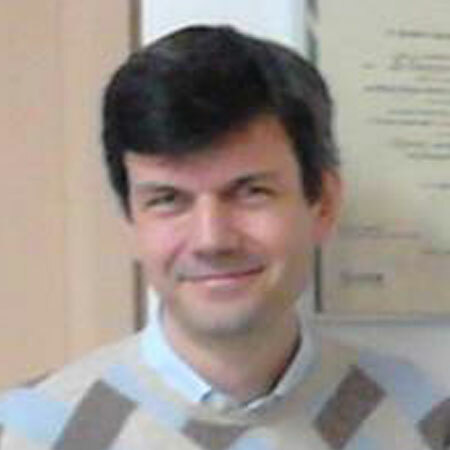 He holds MSc degree in polymer engineering from the Faculty of Technology and Metallurgy, Belgrade University. Portuguese as well as Brazilian nationality (actually I was born in Brazil – S.Paulo in 1958), with 59 years, married, father one son. I’ve lived and studied until my age 10 in Brazil, after that made all my academic career in Portugal, having studied chemistry in IST university in Lisbon. Started to work in field coating since 1985 in Portugal and after that delegated from BASF in Italy for 8 years developing technical and market in area architectural and industrial coatings. Since 2005 in Germany in technical marketing architectural coatings. Kate Trompeta is a Chemical Engineer, graduated from the National Technical University of Athens. She has accomplished her Master studies on Material Science and Technology, funded by the ΙΚΥ Fellowship of Excellence for Postgraduate Studies in Greece – Siemens Program and she was awarded for her excellence by the Limmat Stiftung Institute. Her research interest focuses on organic coatings, especially in industrial and marine paints, reinforced with nanoparticles (carbon nanotubes, metal oxide nanocontainers, etc). Lately, she is dealing with the synthesis and functionalization of carbon nanotubes, as well as with the Life Cycle Assessment of nanomaterials production processes. Part of her research work has been presented in national and international conferences and several related publications in peer reviewed journals have been recently published. The last five years she is working in the Research Unit of Advanced, Composite, Nano Materials & Nanotechnology (R-NanoLab), situated in the School of Chemical Engineering, NTUA. Her work experience is devoted in European and National Research Projects, dealing with nanomaterials, antifouling coatings and advanced, composite materials. 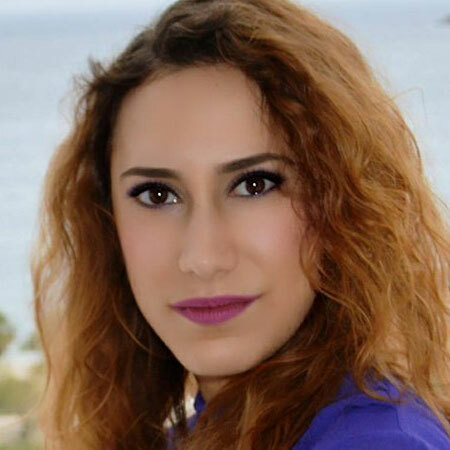 Dr Effie Marcoulaki is a Senior Researcher at the System Reliability and Industrial Safety Laboratory of the National Centre for Scientific Research “Demokritos” since 2008. She holds an MEng in Chemical Engineering from the National Technical University of Athens, and MSc and PhD from the University of Manchester. Her research activities include quantitative assessment of reliability and risk, occupational safety including risks from nanomaterials, uncertainty evaluation and Bayesian statistics. She also continues previous research on the development of optimization tools for the design of novel industrial processes and advanced materials. 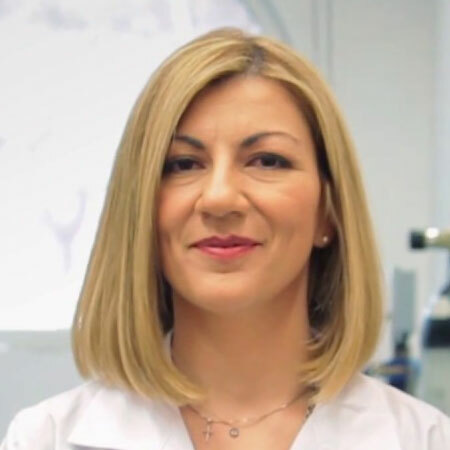 She is member of the European Nanosafety Cluster, and plays a pivotal role in the development of the European Centre for Risk Management and Safe Innovation in Nanomaterials and Nanotechnologies, as well as mirroring activities in Greece. Her research is/has been funded by the Greek, UK and USA governments. 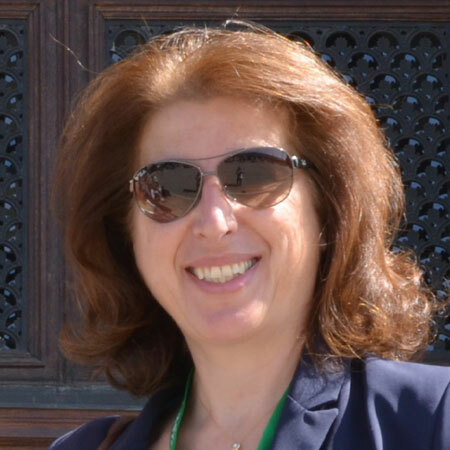 She has collaborated in several EC projects (now leading the participation of NCSR “Demokritos” in H2020/EC4SafeNano) and served as expert evaluator for grant proposals. She is a former Research Fellow of EPSRC (UK), and has worked as a Process and Software Engineer in the UK and a Lecturer at major Universities in Greece. She has over 40 publications in international peer-review journals and conference proceedings, and over 650 citations. I received the B.D. from the Materials Science and Engineering Department at Ioannina University, Greece and completed the Master’s degree and PhD (Academy of Athens Scholarship) in 2011 at the same University. Then I moved to Cornell University and joined the Giannelis group as a postdoctoral research associate focuses on the synthesis of nanocomposites for Energy applications. Then, I was awarded a second post-doctoral fellowship to work as an experienced Researcher on the development of polymer nanocomposites for powder coatings within the frame of a Marie Curie Industry-Academia Partnerships implemented jointly by the collaboration of INRASTES/INN of NCSRD. Today, I am currently a post doc Researcher (Industrial Scholarships of Stavros Niarchos Foundation) working on Advanced Multifunctional Coatings for Outdoor Applications in National Center for Scientific Research ‘‘Demokritos’’. 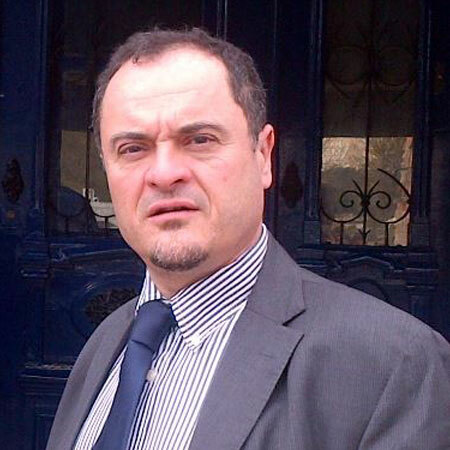 V. Georgakilas received his BS and PhD degrees in Chemistry and Organic Chemistry from the University of Ioannina (Greece) in 1989 and 1998, respectively. 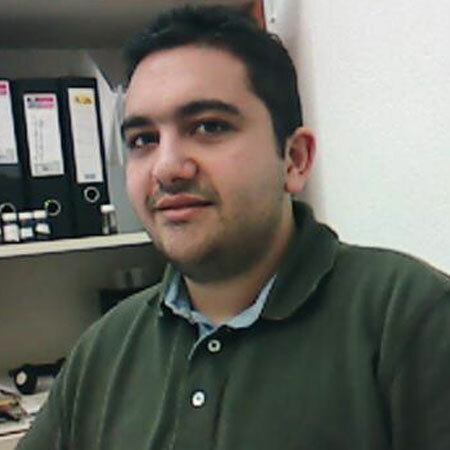 He then worked in the laboratory of nanostructured and composite materials in the Institute of Material Science of N.C.S.R ‘’Demokritos’’ (Greece) as a Postdoctoral Fellow. In 2000, he moved to the laboratory of Prof. M. Prato at the Department of Pharmaceutical Science of University of Trieste (Italy), as a Postdoctoral Fellow, working on the organic functionalization of carbon nanostructures (carbon nanotubes and fullerenes). In 2002, he moved back to the Institute of Material Science of N.C.S.R ‘’Demokritos’’ as a research Associate working on the synthesis and chemical properties of nanostructures. In February of 2010 he was elected Assistant Professor in the Department of Material Science, University of Patras (Greece). 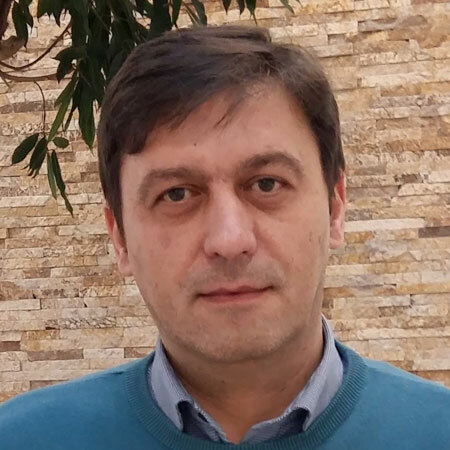 V. Georgakilas is author of 80 articles in peer – reviewed scientific journals, many articles in refereed conference proceedings and 1 European patent with more than 7000 citations. 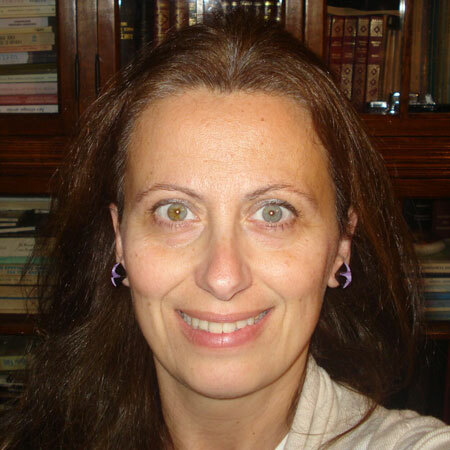 Vassiliki Belessi received her PhD (2000) in Chemistry from the University of Ioannina. She was Head of Production Process in the manufacturing industry of printed circuit boards “METELCO S.A.” (2000-2003). She also worked as chemist in the Research and Trading Company of nanotechnology products “Nanovive S.A.” (2005-2006). She has been working as a researcher in the N.C.S.R “Demokritos’’ since 2004. In 2010 she was appointed Assistant Professor of Materials of Graphic Arts at the Technological Educational Institute of Athens. She has published numerous scientific research papers. Her main research interests include the synthesis and characterization of materials and the development of conductive inks.